To rent a mobilhome mobil-home - rent a caravan - caravaning. 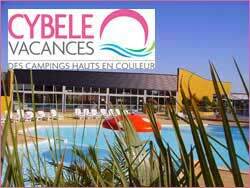 Owner of 4 campsites and a residence in Vendee and Pyrenees Orientales, the brand "Cybele Holidays" brings his professional expertise at your service and contributes to the success of your holiday. 4 destinations are available to you to vary the pleasures and combine your holiday at your convenience. Natural atmosphere, historic sites discovery, moments of relaxation or sporting holiday, there is something for all ages and all tastes. Whether you stay in a mobile home or chalet, or you camp in a caravan, tent or camper, our spacious pitches(165m² on average) guarantee the respect of your privacy. We consider them real places for relaxation to help you make the most out of your holiday. 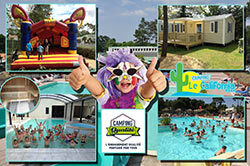 Enjoy your camping holiday in Vendee in the Pays de la Loire. 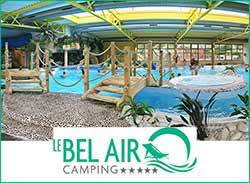 CAMPING BEL AIR ***** on the village of Château-d'Olonne is a 5 star camping warm and friendly with 286 locations, only 2km from Les Sables d'Olonne, famous city of Vendée Globe. We offer a wide range of recent mobile homes with optimum comfort and large balcony semi-covered and camping sites with electricity option to welcome you in a tent or caravan. 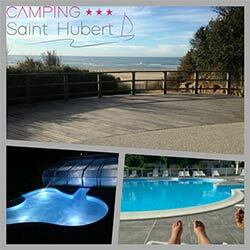 10km from Les Sables d'Olonne, in Talmont St Hilaire, in the Vendée, along the coast, is the Camping St Hubert and its 3 stars, welcome you 500 m from the beach in a family and relaxed atmosphere. For your holidays by the sea, our campsite sells you to enjoy an extraordinary geographical location by placing you near the Sables d'Olonne and within a beach ranked among the most beautiful in France. 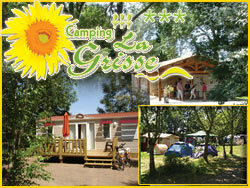 We offer our camping pitches, our chalets and mobile homes. 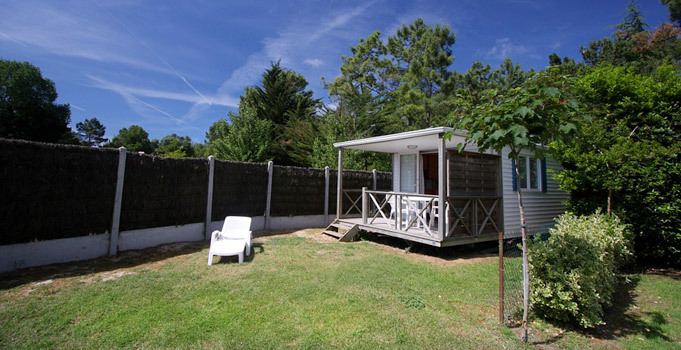 Open all year, within 10mn from beaches … La TRANCHE SUR MER. 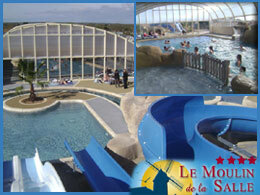 Aquatic area : Heated swimming pool and paddling pool. 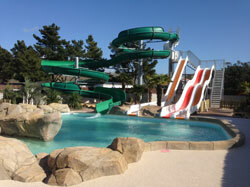 2 water slides, jacuzzi and sauna. 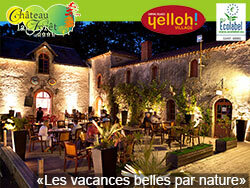 The « Domaine de la Forêt » charms you by its picturesque frame of 50 ha and offers you peace, tranquillity and safety. 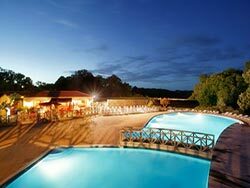 You will find a warm hearted and friendly atmosphere to spend enjoyable holidays. 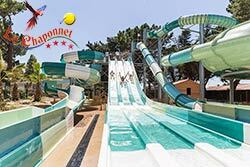 The campsite Les Chouans 5 stars is set nearby a forest of pine trees and oaks, close to the beach facing the island of Yeu. You will appreciate the new accomodations, a quiet and homelike atmosphere. Entertainment all the day and evening and kid club from July to September. 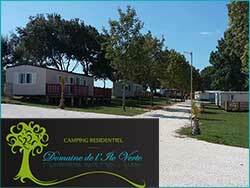 Discover La Rochelle, Rochefort from our campsite and buy your mobile home !